Heavenly Father, today we pray about Harvey Weinstein’s arrest. First, we thank you that truth is coming out about possibly decades of sexually abusing women. Second, we thank you that Weinstein turned himself in. Now we pause to reflect on all that has happened in this absolutely overwhelming situation. Thank you that we can trust you in the midst of all of this. We rejoice that victims can continue to heal. We do pray they will find healing, ultimately in you. As the wheels of justice begin to turn for Harvey Weinstein, we pray for truth to shine, and for people to operate with both grace and justice. 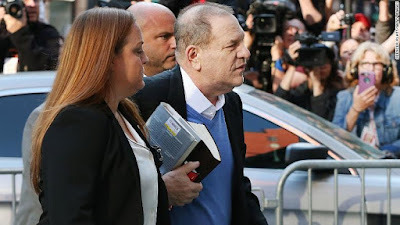 We pray for Weinstein, that he would be compelled to face the ugliness within himself. May he humble himself before you and before his victims. May he seek his own healing and salvation after facing his own sin. And, again, Lord, we pray for Weinstein’s victims. Bring them peace, hope, celebration and light. Comfort and sustain them. In Jesus’ name we pray, amen.